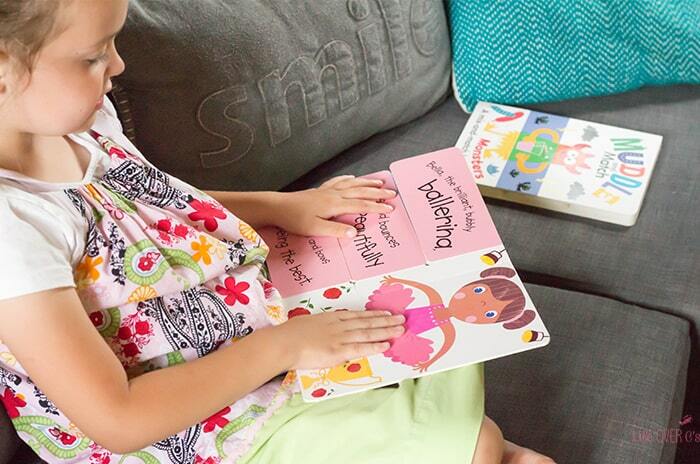 Does your child have a special book that she begs to read every day? Or fifty times a day? My five-year-old does! She loves our Muddle & Match books! 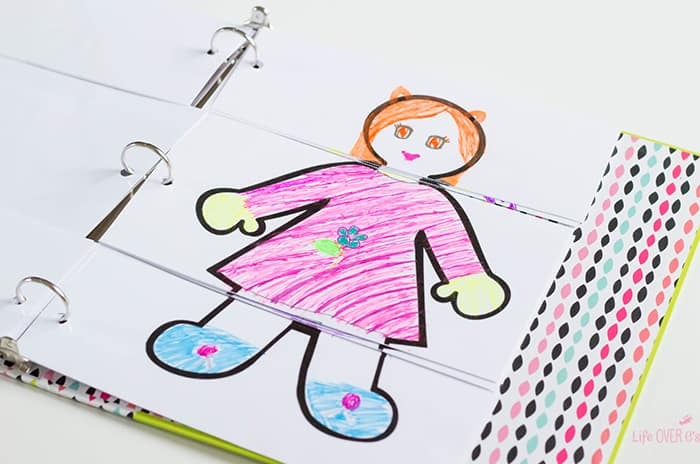 She can flip through the pages creating a new character over and over again. It’s almost as good as watching crazy YouTube videos for her. Ok, maybe not, but she does love the books! Shiloh doesn’t read yet, but I love sharing books with her. 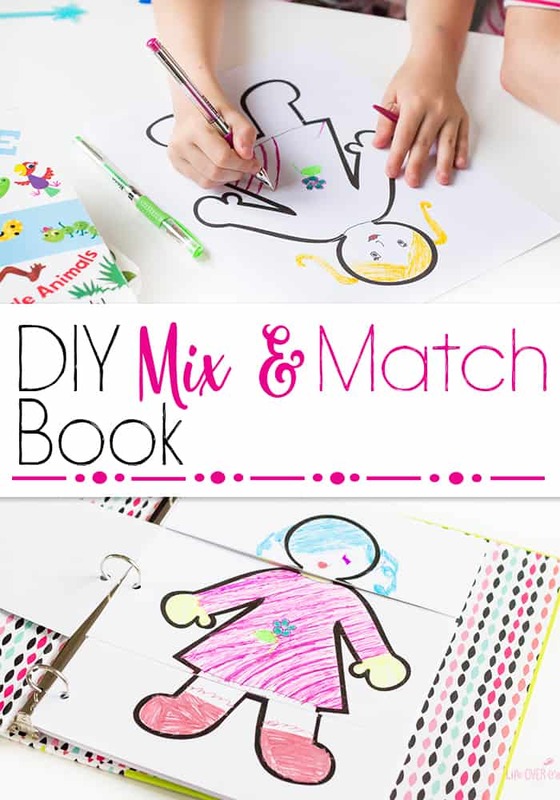 This summer I wanted to get her sister’s involved with her book time, so they worked together to create their own DIY Mix & Match Book. 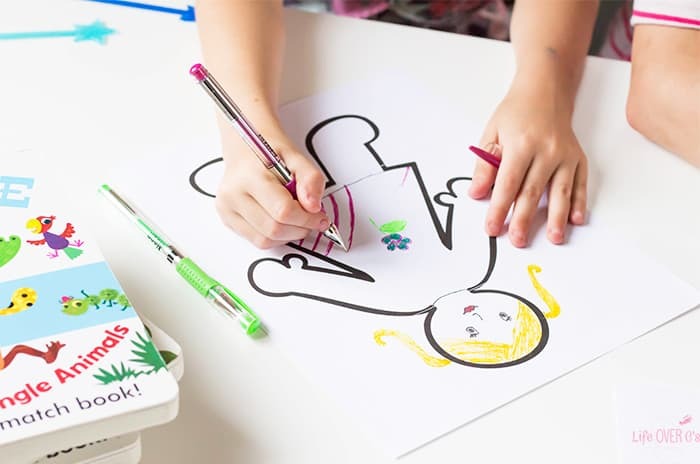 It’s a great way to get kids reading and creating together! This post was sponsored on behalf of Zenni Optical via One2One Network. All opinions stated are my own. I know that’s a lot more materials than our usual activities, but those are things that I have in my office all the time. If you choose not to laminate, I suggest using card stock instead. My daughters were in love with this project! It was a fun way to bring reading out of the book and help them get creative with their own art and stories! Zenni Optical encourages families to enjoy their favorite books whether it’s around the campfire, at the beach or pool, in the car for a family road trip, or reenacting their favorite book scenes during outdoor play. So important!! 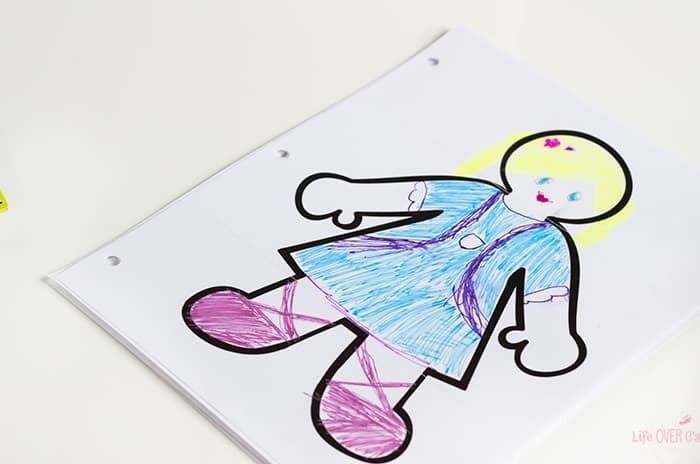 To make the book: Print several copies of the body templates (found below). We printed 10 and the girls all helped to decorate them. You could have an on-going project where you add new pages every few days if you want. 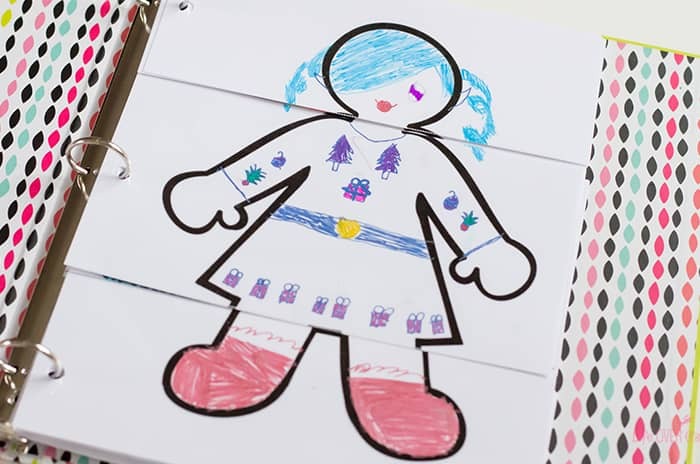 Decorate the templates! My kids had so much fun with their gel pens. And Shiloh wanted to add some washi tape. 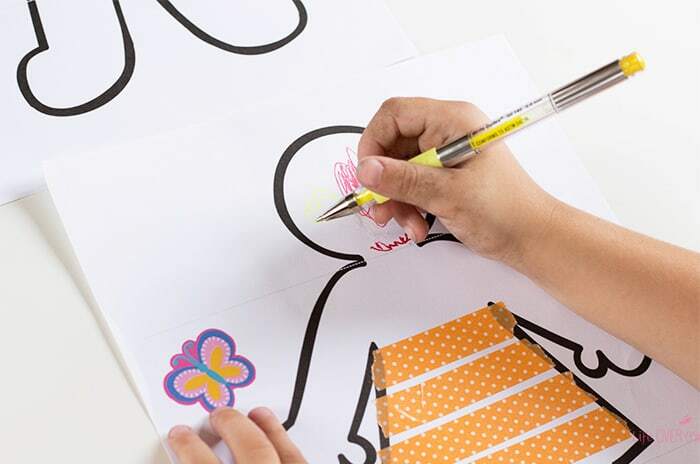 After the templates are all decorated, laminate them to make the pages more sturdy. This is especially important since my 5 year-old is definitely not the most gentle child in the world. Laminating makes the pages last more than five seconds. 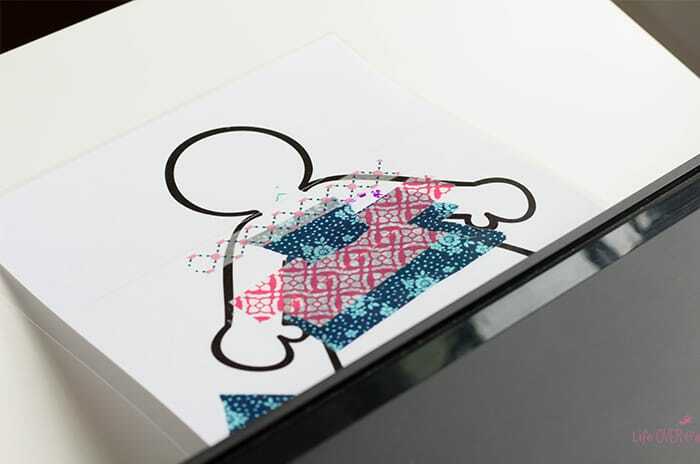 Then use the 3-hole punch on the pages, cut each page apart on the dotted lines and layer them into the 3-ring binder. Ta-da!! 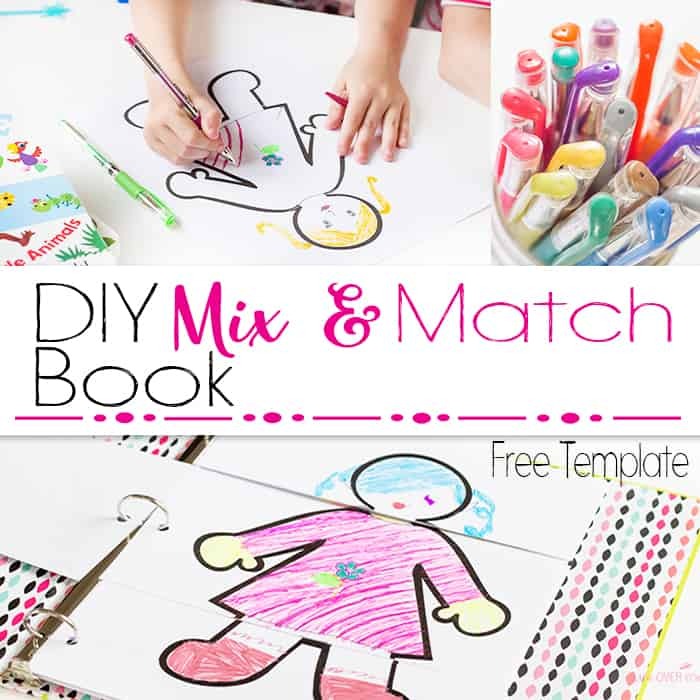 You now have your very own DIY Mix & Match Book!! To see her sister snore. Each portion of the story should be written on the back of a tab, so that as the tabs are turned new parts of the story are combined. More Mix & Match fun!